What that means is that if you choose to attend iClass training, your exam will be included in the package and you will not have to apply and prove 2 years of IT Security experience in order to test! In the iClass platform we offer a few different ways in which you can train. EC-Council offers “In-Person” training, in cities throughout North America. Instructor-led training in your own town is offered to provide you world class instruction conveniently located in your backyard, and since the course is live, you will collaborate with your peers and gain real-world skills while receiving in-person instruction and interaction. We only employ subject matter experts (SMEs) to teach our courses so you will learn from a practitioner rather than someone who prepped on Friday for a class on Monday.  In-person training comes with our industry changing iLabs, online labs platform, a choice of testing on the final day of class or online anytime with a web-based proctor. In this economy, we are finding more and more folks simply don’t have the budget for a full blown training solution. Any of our courseware, exams and iLabs are available to be purchased separate from training. iLabs, online labs solution is a platform made up of virtual machines that allows you to practice all the concepts and methodologies taught in EC-Council’s IT Security Certification courses in a safe, secure platform.